Essentially an experimental issue to test the copper-nickel alloy, this pattern was struck from the regular dies catalogued as Breen-2 among half cents of this year. Two different compositions are reported, one with 90% copper and 10% nickel, the other with 88% copper and 12% nickel. 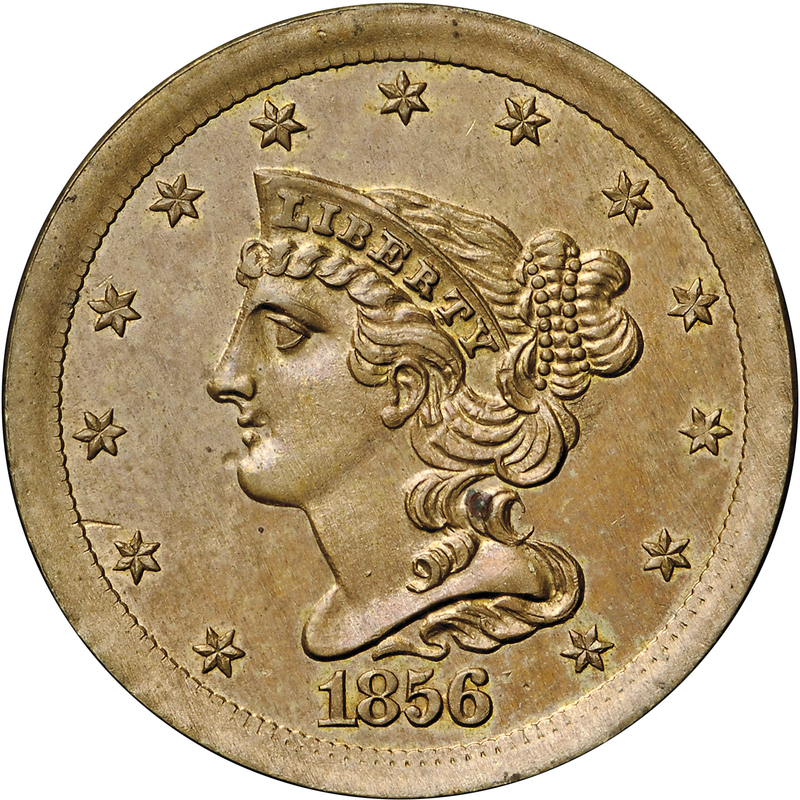 Although some numismatists have attempted to distinguish between these compositions based on color, the only way to be certain is through elemental analysis. These half cent patterns were struck sometime prior to July 11, 1856, the date of a letter from the Mint Director to Secretary of the Treasury James Guthrie. Purchased from Brinton T. Schorer, May 3, 1973, via Goliad. 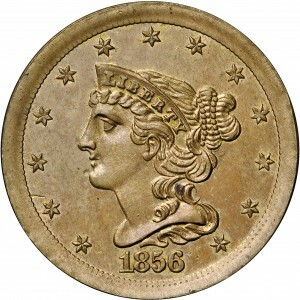 Braided Hair head of Liberty to left, 13 stars around, date below. The standard die of the year. 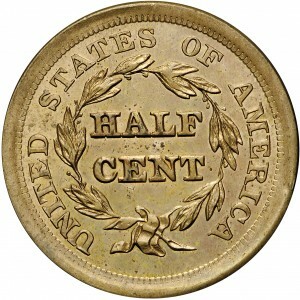 HALF CENT within continuous wreath, UNITED STATES OF AMERICA around. The standard die of the year. 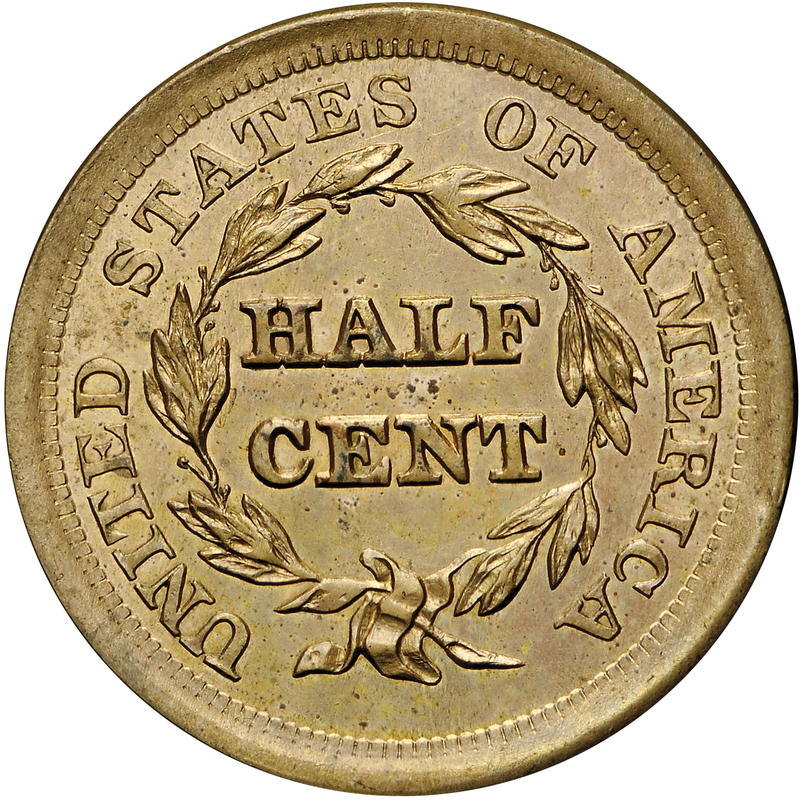 "Denomination is one-half cent ($0.005). Will not print as such." Apparently, Harry's computer data program was not planned to include this single half cent denomination pattern.